The new cannabis industry is booming—and it's way different than you think. The benefits of medical marijuana are no longer able to be ignored, and the people have finally spoken up about wanting their Mary Jane. That's why we're seeing Prohibition ending, and why there's a newfound green rush in states that legalized marijuana. For the most part, people seem pretty comfortable making assumptions about the new cannabis businesses that are cropping up across the nation. Most of those assumptions just aren't true—and the real picture of the new cannabis industry is one that is filled with myths. It's not just about selling pot. There's a common misconception that the cannabis industry is just about cannabis, and it's really not. There are tons of different businesses focused on catering to those who do vend cannabis to people. Even doctors who offer "green cards" are part of this industry. 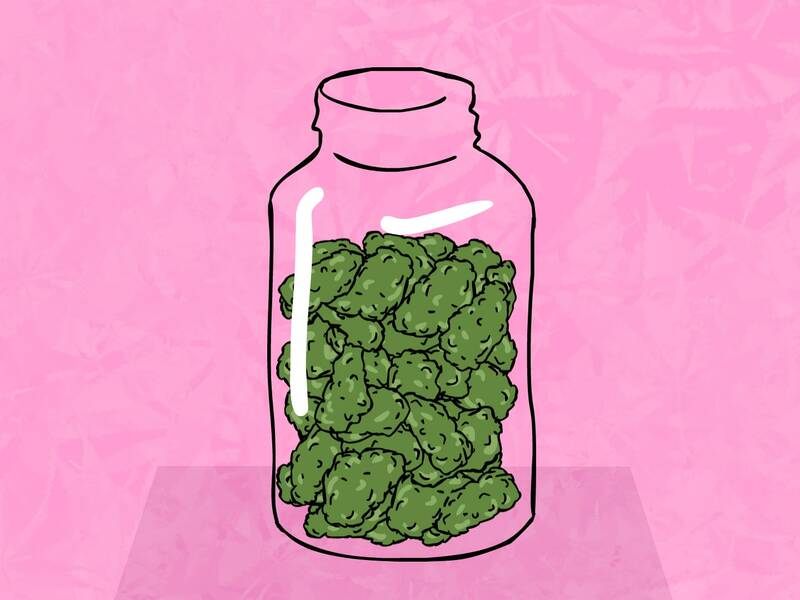 There's a pervasive belief that anyone who's involved in the new cannabis trade is either a hippie, a rapper, or some Instagram model looking to be edgy. This is just not true. Doctors, lawyers, and even conservative politicians have dipped their toes in the boom. Companies that sell cannabis have no access to traditional banking—and that's pretty bad. Though it's hard to imagine, most cannabis companies that exist have no access to banking services. Laws prevent banks from accepting money from industries that are deemed illegal on a federal level. This means that the storage of their money, their ability to write checks to merchants, and just about everything else most businesses take for granted can't be legally done. Accounting and cash storage, therefore, is often pretty difficult for companies that deal with cannabis distribution in any way, shape, or form. This leads to a high risk of losing money via theft. Yikes! Until it's federally legalized, cannabis companies won't have banking. Most social media sites have a ban of advertising illegal goods, and sadly, that also means that they won't allow companies to advertise cannabis easily. This is true, even if the companies in question are legal on a local level. You might already know this, but it's worth pointing out again. Uncle Sam has gotten quite a bit of benefit from legalizing cannabis. Colorado once was running a deficit in tax revenue. Thanks to the green boom, it's now running a surplus. Despite all the proof of positivity, the future of cannabis' legalization still remains uncertain due to the stigma and false claims let out by conservative politicians. The United States will eventually catch on, hopefully, once the guys in Washington DC realize how much money is in the marijuana business. There's something really epic about being able to be part of a new industry. It allows you the full reigns to be a trailblazer, and since there's no major history involving the industry as a whole, people are more willing to try it out. It's pretty awesome, don't you think? It's a very feminist industry, too. Many industry sectors are known for having a "boy's club" atmosphere, with far more men being members than women. This is not the case with the cannabis industry. Much like the tobacco industry had Joe Camel, and the alcohol industry had every teen movie in existence, a lot of people are getting worried that the cannabis industry could be giving minors the wrong impression about weed. We all enjoy the benefits of smoking (or eating, or vaping) bud, but let's face it, there are side effects. If you are sensitive to weed, you could get paranoid, anxious, even hear things that aren't really there. A number of firms in the cannabis industry are joining together to create weed strains that give you all the perks, minus the pitfalls. This could lead to a number of major breakthroughs for people who want to use cannabis as a cure, but can't due to sensitivities. Love investing in the stock market? You'll be happy to know that the cannabis industry has already touched the stock market in a number of ways. This means that you can invest in cannabis stocks on the OTC, and if federal legalization occurs, you also will be able to see them hit the DOW, NYSE, or S&P 500.